This workshop must be paid in advance at the church, or through e-transfer to easthamiltonspiritualchurch@gmail.com by Friday, October 12th. she played in the music club scene and continues to perform professionally in classic rock and R&B bands. 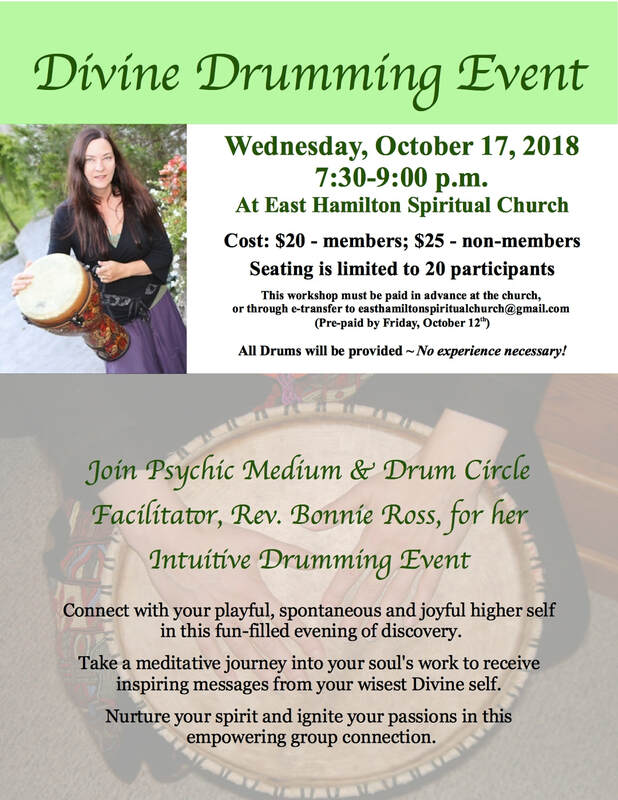 As a former Child & Youth Counselor working with children and youth who struggle socially, emotionally and behaviorally, Bonnie used the hand drum to reach the hearts and souls of many. 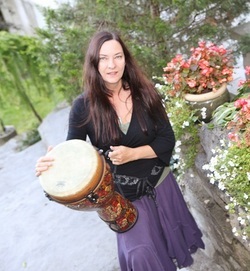 She continues to facilitate Divine Drumming Programs in her private practice, offering drum circles, therapeutic drumming courses and retreats and knows that the drum is responsible for her own healing and true sense of passion for life.